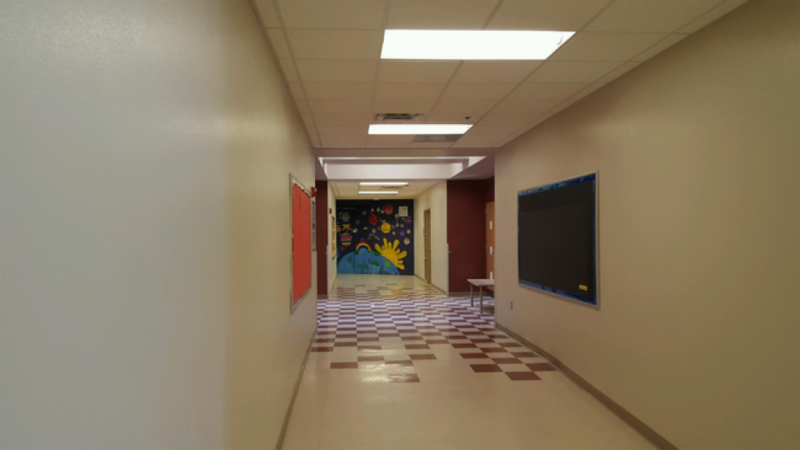 The Ramirez Thomas project was a phased schedule project in an occupied school. 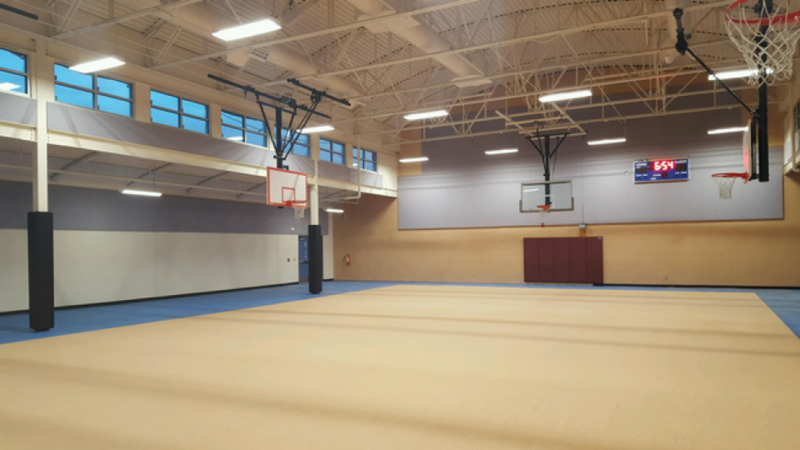 The project included a gymnasium expansion, complete upgrade of the HVAC systems in the gym- kindergarten -Pre-K classroom areas, a remodel of the classrooms in the Pre-K, and a new synthetic turf soccer field. The project also upgraded the site drainage around the school renovation areas. 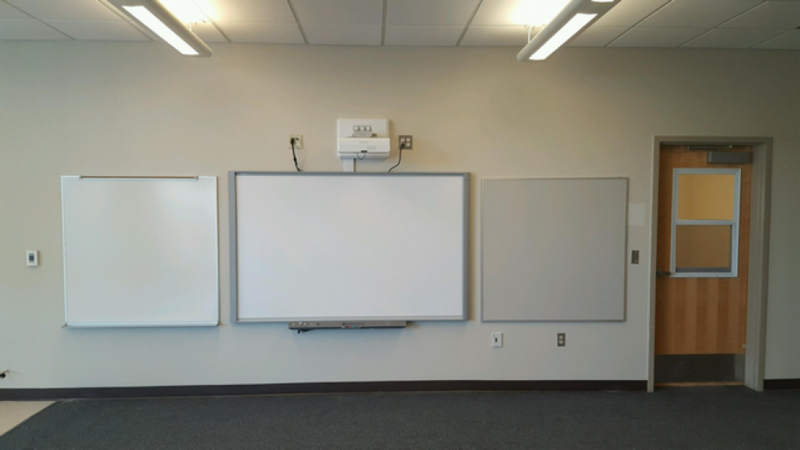 Work was accomplished on a three phase schedule and Franken Construction adjusted the work requirements to coincide with the schools on-going class schedule. The gymnasium expansion left the existing roof in place but the structural supporting masonry walls were knocked down after new steel columns and joists were installed. The new expanded floor area increased the gym size by over 3,300 sf. This allowed the owner the ability to provide new telescoping bench seating. The HVAC upgrade expanded the use of a four pipe fan coil system with Energy Recovery Ventilation (ERV) units. The fan coils, exhausts, and ERV’s were controlled and monitored by the schools Energy Management System. The owner brought in a commissioning agent part way through the completion of the Kindergarten and Franken Construction helped the commissioning agent to get coordinated with the work that had already been put in place. 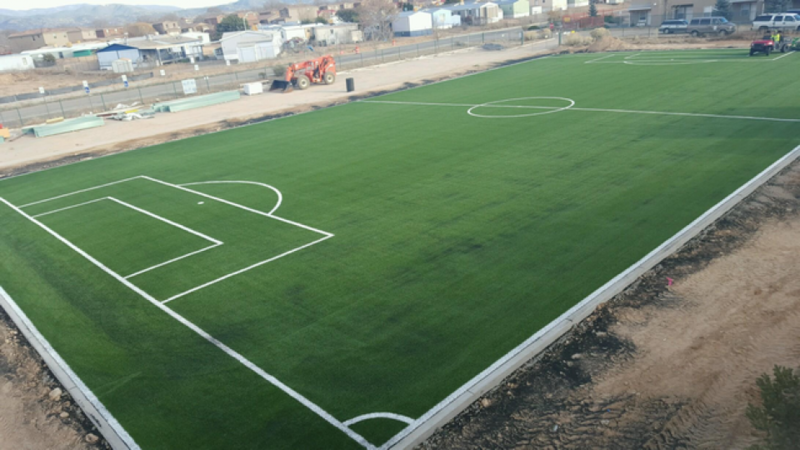 The new synthetic turf soccer field was completed in about 45 days with a complete drain system that tied into our new storm drain system. 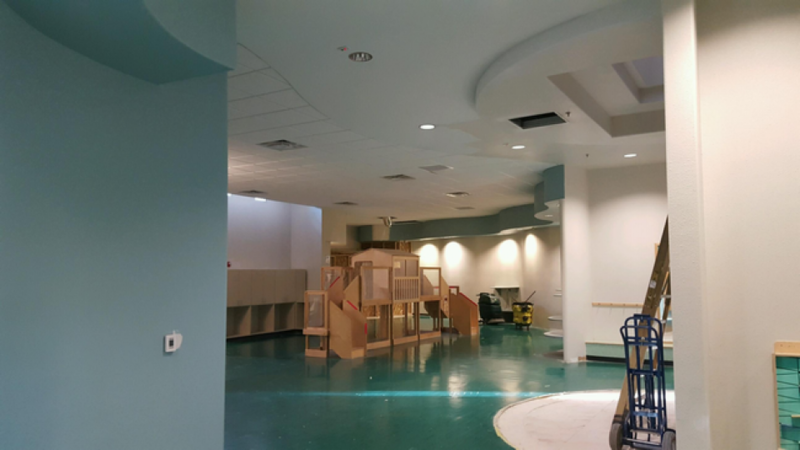 The Santa Fe Public Schools system felt that from our outstanding job performance on this project that Franken Construction should be included in their Indefinite Delivery/ Indefinite Quantity requirements for the 25 schools under the Santa Fe Public Schools authority.